It’s our mission to help innovative businesses grow using R&D tax incentives. We’re privileged to see first-hand the positive impact that R&D tax credits can have on a business. Giving your business a culture of R&D means more innovation: safer risk-taking, larger claims, and overall business growth. Many of our clients use their R&D tax credit to hire new STEM talent and embark on even more ambitious R&D projects. Our work has created the equivalent of more than 15,000 technical jobs in the UK - a vital pathway for future talent in science, technology, engineering and mathematics careers. This is good news for the economy, and ultimately helps the incentive achieves its aims. With R&D tax incentives, the government wants to reward private sector innovation as a way to increase productivity. Let us help you access the credit your business deserves. We strive for excellence in everything we do. We recruit the top talent in tax and from within industry, and train to the gold standard. We’re not content to stand still, and instead constantly challenge ourselves to learn and improve. This commitment to excellence results in superior advice and amazing results. We value relationships above all else. Keeping our clients happy is what makes us tick. We communicate openly and honestly, and take time to understand your business to uncover the full extent of your R&D. Our approach is rigorous, with a quality assurance process built-in. This means our work is considered, fully-maximised and protected from risk. We are energetic, driven and inquisitive by nature. We’re passionate about our clients, their innovation and the positive impact that R&D tax incentives can have – on a business and the UK economy as a whole. This common purpose drives us forward as a team and has a phenomenal impact. ForrestBrown’s forest is our green initiative. It is a metaphorical forest, but one with real trees that helps our planet and vulnerable populations. It’s our way of giving something back. The number of trees we've helped to plant so far! For every R&D tax credit claim we complete, we’ll plant a tree in one of the most impoverished regions of Africa. In line with the vision of our fantastic partners at TREE AID, trees become the lifeline that helps locals out of extreme poverty and hunger. Villagers are trained in how to sustainably harvest the trees, providing produce that can be eaten or sold. Trees survive the droughts that cause crop failure, offering a much-needed safety net. In Africa’s drylands, trees mean life. Each year, the ForrestBrown team selects a charity to support for 12 months with our fundraising efforts. In 2019, we have chosen MNDA – Motor Neurone Disease Association. The Motor Neurone Disease Association (MNDA) is the only national charity in England, Wales and Northern Ireland focused on improving access to care, research and campaigning for those people living with or affected by motor neurone disease. Keep an eye on our social channels to stay up to date with our latest fundraising efforts. In 2018, we supported local charity BRACE. BRACE assist dementia research through the funds they raise. They do this by awarding grants to university-based researchers in south west England and south Wales. BRACE aims to help medical science understand what causes dementia, facilitate earlier diagnosis and find new treatments. 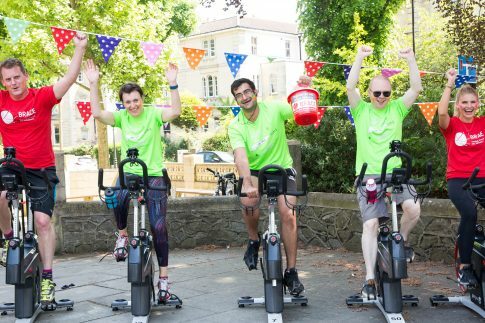 As part of our fundraising efforts, we held a charity day during Dementia Awareness Week where the team ran a book and bake sale, alongside a competitive spinathon. 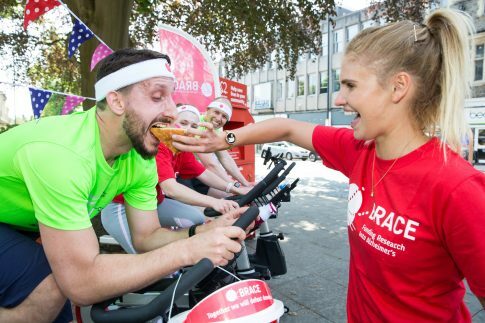 The ForrestBrown team have run competitions, hosted ticketed dinners, and one ForrestBrown-er even ran an 100 mile race, all in aid of BRACE, raising nearly £6,000 over the year. In 2017, we supported the Max McGhee memorial fund – part of the Headlight mental health charity. Max was the son of one of our employees. He had struggled with psychosis and an autism spectrum disorder and sadly passed away in early 2017. The memorial fund was set up to initially help fund a sensory calm-down room in a local mental health hospital. As part of our fundraising efforts, we hosted a charity quiz evening called Mind Matters attended by more than 150 guests. During the evening, guests were entertained with an aerial display, artisan pies from the renowned Pieminister and a fabulous raffle. In total, we raised more than £8,000.